Maggie Morris, soprano, has been singing with Cantores in Ecclesia since its inception. She originally joined Dean and his adult choir at St. Clare Parish in southwest Portland in June of 1981. 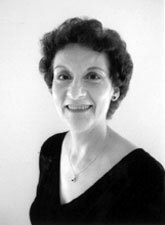 Before joining Cantores in Ecclesia, Maggie sang for many years with both her church choir at St. Mary Queen of Creation Catholic Church and the New Baltimore Interfaith Choir in New Baltimore, Michigan. She was also involved with organizing the local community theatre and directing and acting in numerous productions. She met her future husband, Bill, during rehearsals for “The Miracle Worker”. Maggie worked for fourteen years for Citizens State Bank in New Baltimore where she was manager of the bookkeeping/accounting operations. She received her Bachelor of Science Degree in Business Management from Portland State University in 1986. She has found her business experience useful to the choir, especially after it became a nonprofit 501(c) 3 Corporation in 2002. She has been serving as the choir Treasurer since 1991. Maggie studied voice briefly with Sr. Claudia Foltz, SNJM at Marylhurst University, as well as with Drs. Scott Tuomi and Richard Poppino. She is currently studying with Pauline Jensen. Maggie has enjoyed singing with the Portland State University Womens Chorus and has participated in the William Byrd Festival every year since its inception in 1998. She is Music Coordinator/Director and one of the regular cantors at St. Patrick Catholic Church in northwest Portland.